An addictive dystopian that I’d recommend despite some frustrating flaws. In the year 2045, reality is an ugly place. The only time teenage Wade Watts really feels alive is when he’s jacked into the virtual utopia known as the OASIS. Wade’s devoted his life to studying the puzzles hidden within this world’s digital confines, puzzles that are based on their creator’s obsession with the pop culture of decades past and that promise massive power and fortune to whoever can unlock them. When Wade stumbles upon the first clue, he finds himself beset by players willing to kill to take this ultimate prize. The race is on, and if Wade’s going to survive, he’ll have to win – and confront the real world he’s always been so desperate to escape. 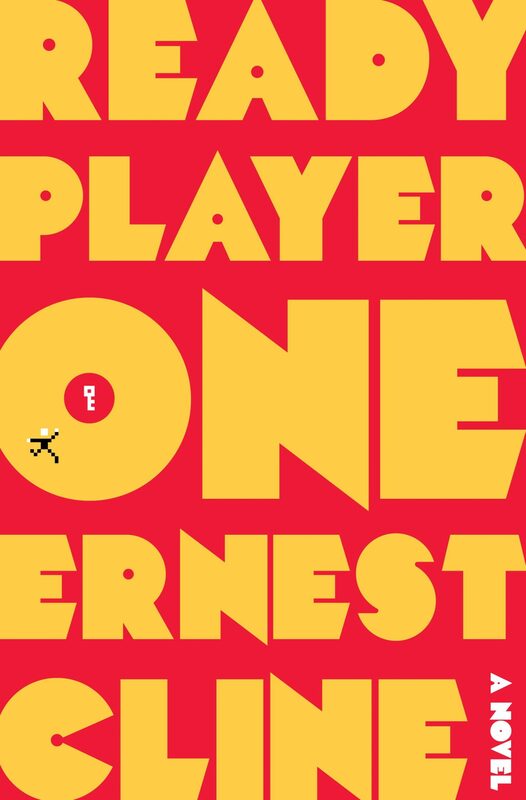 Ready Player One’s concept is right up my street. A dystopian future, gaming and pop culture, clues and riddles to decipher. I jumped right in and found myself absolutely addicted to it. I was thinking about it when I wasn’t reading it, and couldn’t wait to pick it back up during my lunch breaks and my journey home. Normally this would mean a five star read, but sadly I decided I just couldn’t let the niggles I felt about it lie. On reflection, this book has some pretty huge flaws. About half way through, still thoroughly addicted, I began to realise a few things. First: why is it so damn easy for Wade? There was some attempt at introducing some obstacles, and towards the end I enjoyed Wade’s crazy plan for opening the Third Gate, but even then it was just too easy. Wade seemed to have the best luck in the world, don’t you think? Second: if there are so many people playing OASIS, then why did Wade never see any of them on his travels? That frustrated me too. There was so much opportunity for interesting encounters that would have added depth to this book – depth that it ultimately lacks. It’s interesting that lots of adults that perhaps wouldn’t have read a book quite like this one before have expressed such love for it, though. It reads a lot like a YA novel but I’ve seen it placed more commonly in the adult section of book shops and online stores. I think it would be awesome if this opens up YA books to an older audience, which is something I’m always trying to encourage. (Check out my YA recommendations for adults). What did you think of Ready Player One? Have you published a review of it on your blog or on Goodreads? Leave your links in the comments below, I’d love to read them. Completely agree with you on this one, Ashleigh! I too couldn’t put this book down, but I hated the way that it stripped all the fun and joy out of music and film and reduced it all to names and numbers for Wade to memorise. I can’t help but think that a teenage boy in a dystopian world could/should have found real solace and escape in culture. Plus, snore @ Rush bootlegs forever. Here’s my Goodreads review, which pretty much covers these same points with added ranting. Have you seen the film, and if so what did you think? Totally agree, I’m off to read your review now! I haven’t seen the movie yet, but I’m sure I’ll watch it eventually. How does it compare to the book?